Sometimes, getting an approval for an application whether it be personal or business-related can take such a long time that you may end up thinking that your application has been voided. That is why there is a Check Application Status Form for you to fill up and be notified of your application progress. Applying for something will need you to sell yourself well. That means, as much as possible give the best and most honest details about you which makes you fit for whatever it is that you’re applying for. 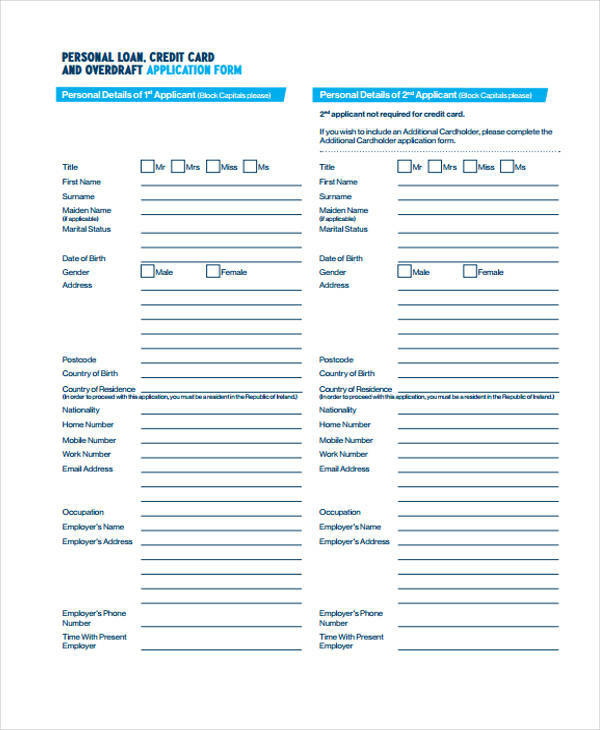 Treat it like your Job Application Form where you give extensive details of your past job experiences. If you wish to secure the things you need when you find yourself short on cash, you have an option to turn to when you have your credit line. This means that through filling out a Credit Application Form, you are seeking approval to avail of loan services from a certain loan institution. 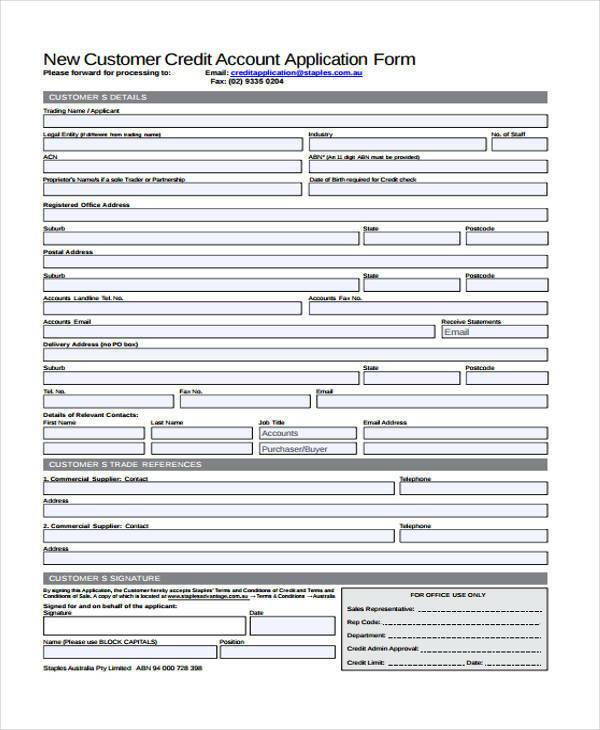 During your application, you may also be asked to complete a Membership Application Form for their institution. 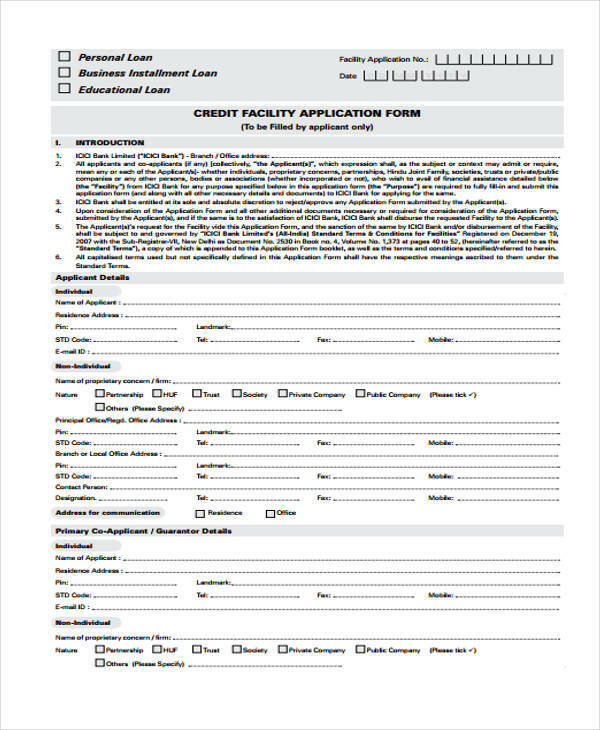 Your Credit Application can also be a request for an extension of your credit line – that if you already are a member of that loan institution and you are current enjoying the benefits of your credit cards. Before you decide to apply for business credit, reflect on how much you need it. Usually, those who get these are the ones who own a business, business-owners seeking to lend from another business institution, or if you are lending to businesses and you want to update your client’s profile. 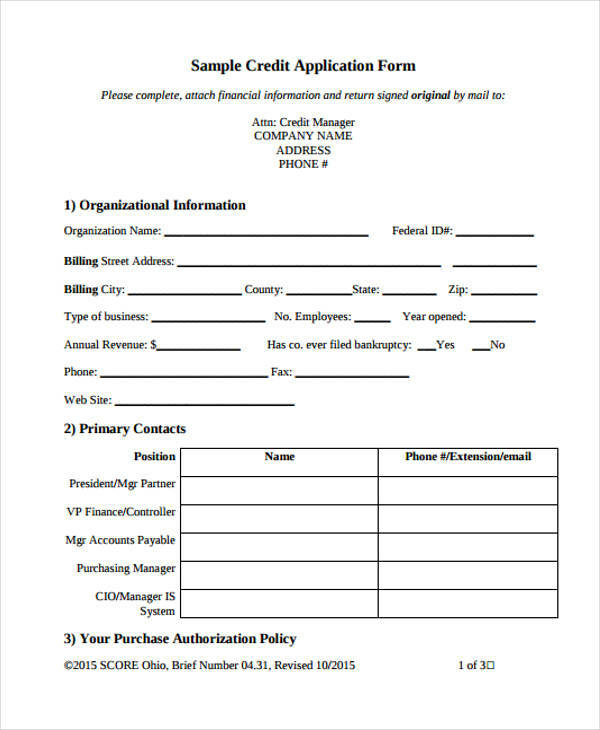 Next, you may want to check on these Sample Application Forms to know exactly how a business credit application form looks and functions. 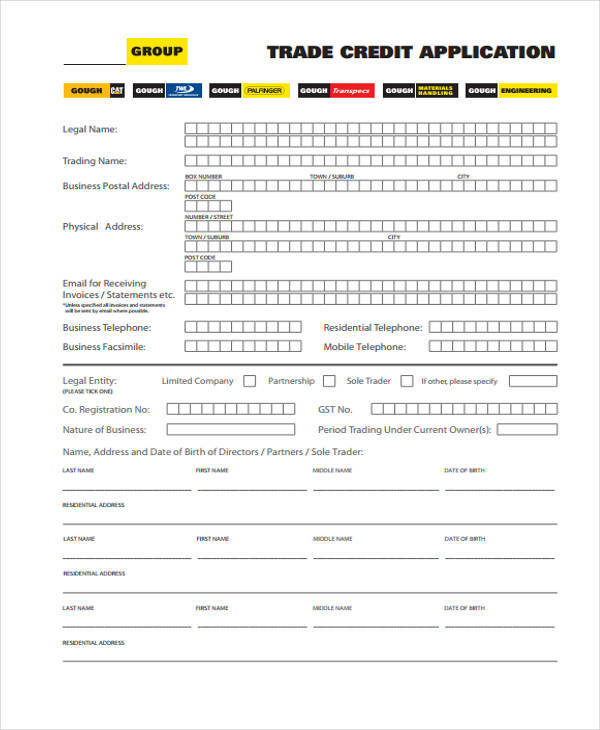 Creating a business credit application form needs you to provide your personal and business credit report, to support how strong your trade references are. Approval of application is also attainable if you include a record of your company finances and a business development plan. 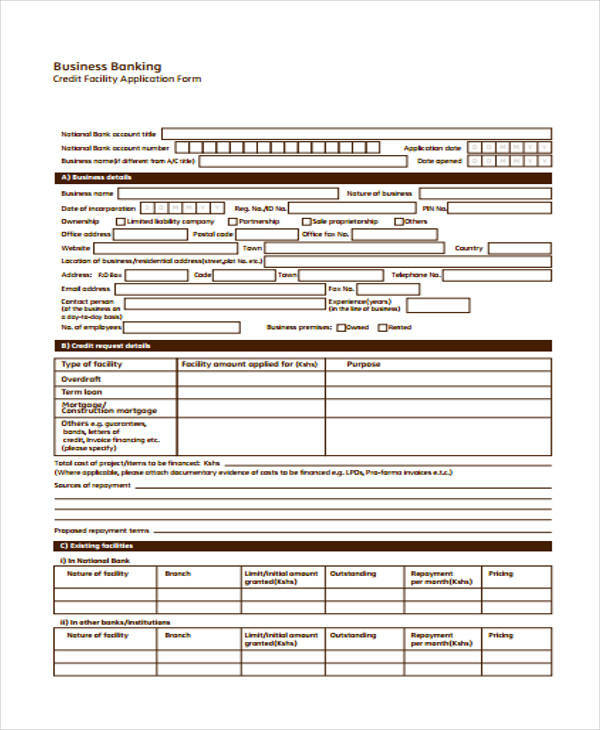 In order to guarantee an approval after applying for credit is the same as thinking about what you should be including in your Volunteer Application Forms, Employment Application Forms, and School Application Forms. Apply for only one credit line. While there are many other lending institutions trying to provide attractive promotions for you, make sure that you apply for only one credit line. It would even be best if you choose your bank institution or the ones with connection to your financial accounts. Secure Personal Financial reports. 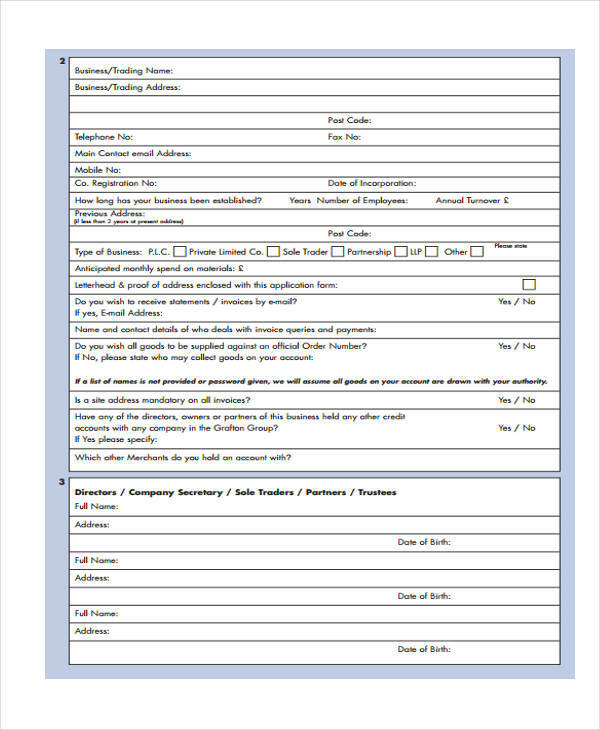 A lending institution needs to know if you are capable of paying your debt by indicated deadline. Make sure that you give an honest report of your financial status. Set an achievable limit. Make sure that you estimate a limit your pocket can handle. Apply at a lending institution which offers a credit score that is fit for you. Get yourself a co-signer. This is very helpful for the ones whose credit scores are bad. A co-signer will most likely help you get an approval. Don’t hide the numbers. In order to secure an approval, make sure that you include all your income details. Bring physical copies of these as proof of these invoices and payments. Clear previous bills. If you are filling up a credit application from a new lending institution, make sure that you have cleared out your previous bills. 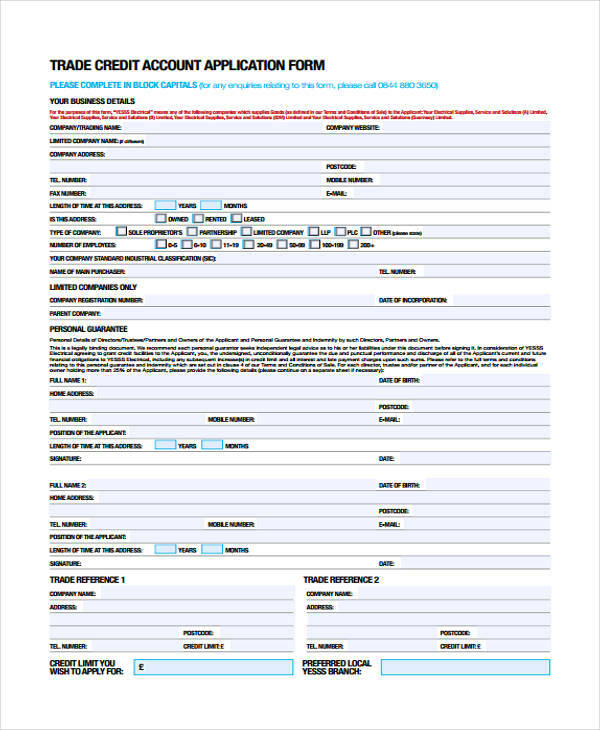 What Is the Purpose of a Credit Application Form? 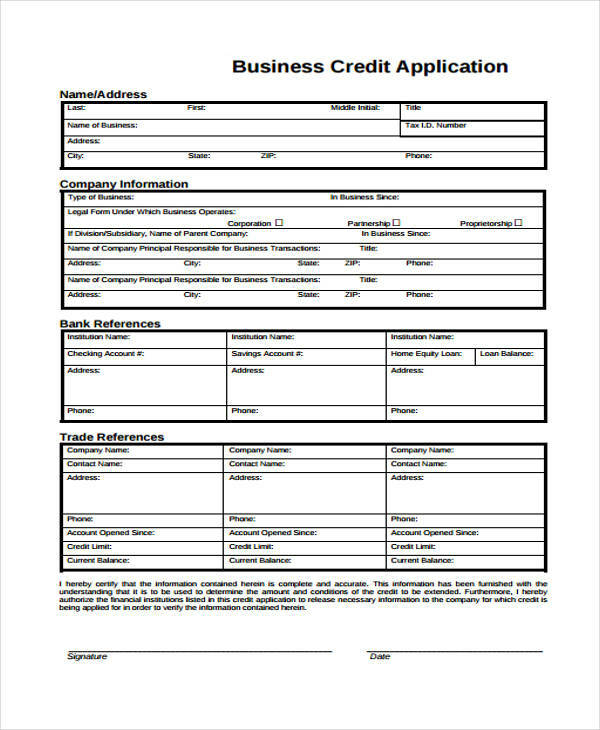 Just like your Business Application Forms, your Credit Application Form provides all the necessary details that is needed by a lending corporation or institution to know whether you are deserving of their credit line and that you are capable of financial commitments. 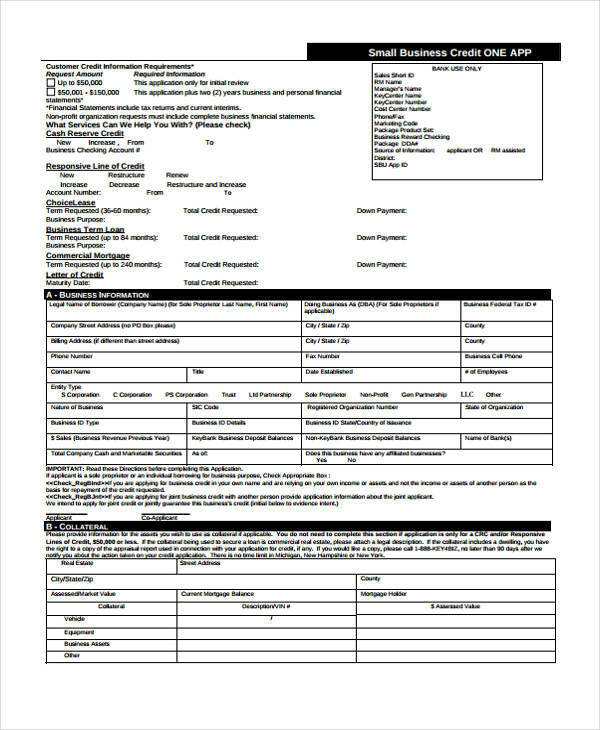 Through these forms, you are also able to get an idea of how much your credit limit should be. 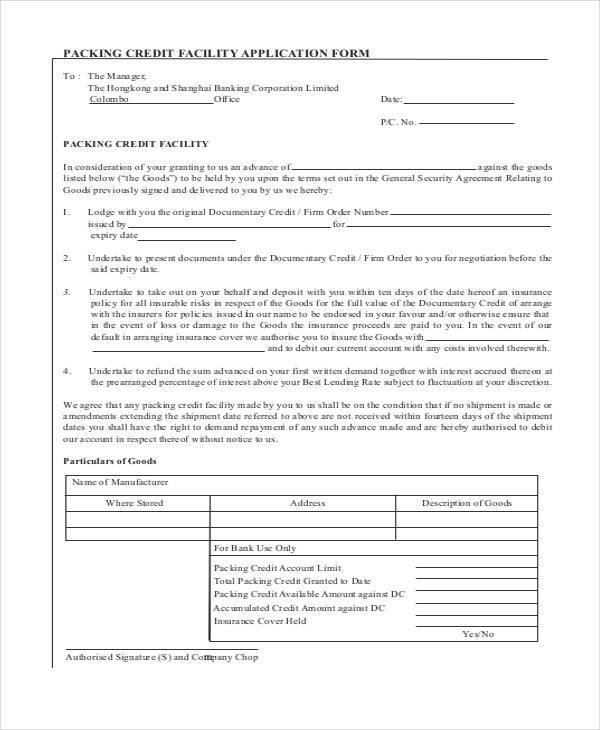 It also links you to a lending institution, similar to how registration forms link their suppliers/owners to their clients. 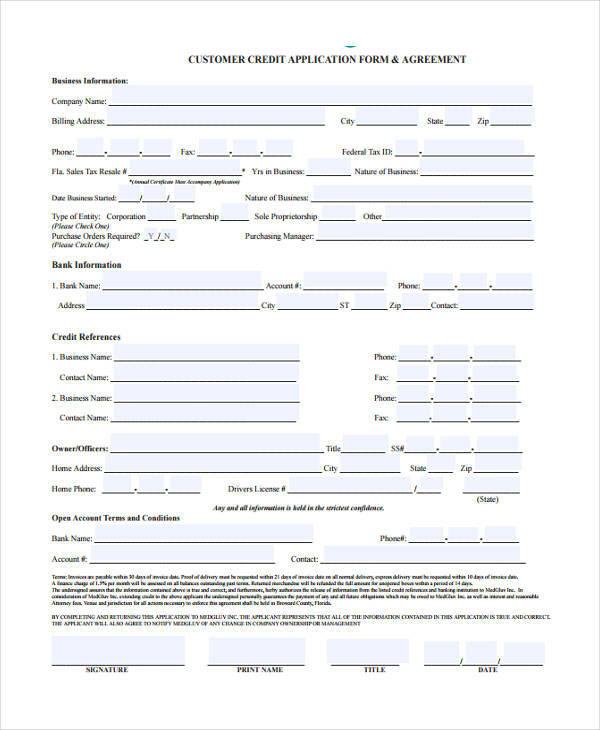 You can also use this Credit Application Form to extend and maximize your current credit line in a form of request. 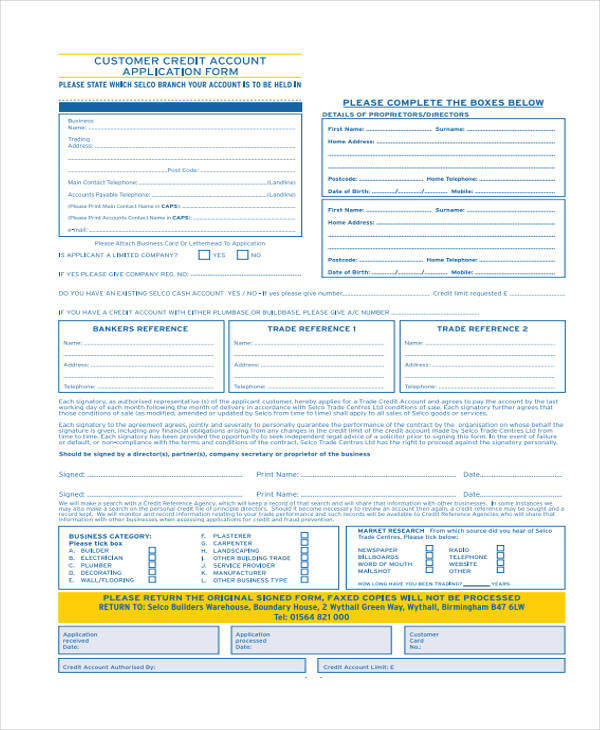 There are many Loan Application Forms available online. 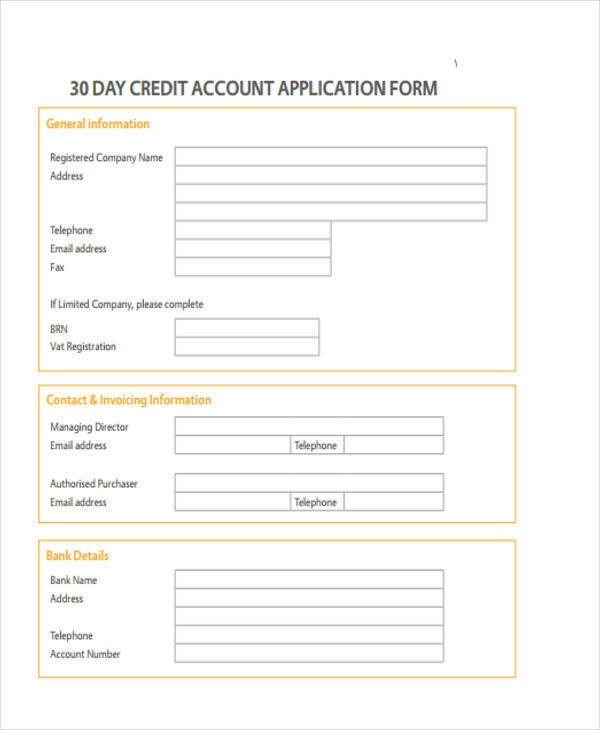 Some of these are a click away from being downloaded and allows you the convenience in creating your credit application form. 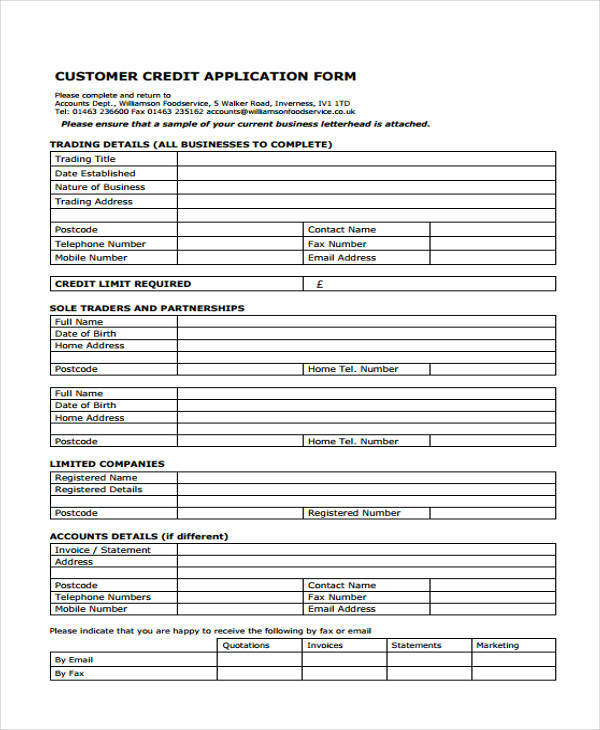 For some, making a Credit Application Form is as if preparing all your financial records and passing it to the lending institutions to be able to be found eligible for their credit line. It is also important that you note your personal details, financial ratios and even of your debt levels in your credit application form. To complete a credit application form, you should be 21 years old. If you are 18, you will need to secure your parent’s permission or secure a reliable source showing that you are capable of paying bills and debts. Provide a detailed source of income. If you have setbacks regarding past credit line usage, provide an honest 30-day delinquency report. Provide your housing situation. Some credit application forms will require this detail. See to it that you have reviewed the credit card agreement before affixing your signatures. 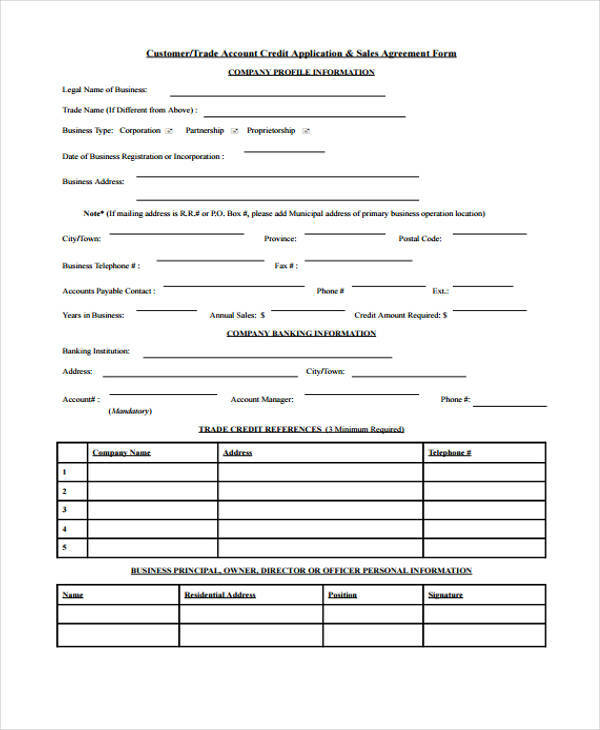 Sometimes, credit application forms will need you to secure a signature of a witness. Always indicate your Social Security Number. That is one of the most essential details in your credit application.